The team finds that the CMZ environment causes the clouds to be compressed, with stress and shear forces fragmenting them and developing features such as filaments and spinning, pancake-like structures. The simulations are able to reproduce key observed features like the "Brick," a very dense, flattened molecular cloud that, despite its dense gas, lacks star formation activity; the simulations can mimic its general morphology, inclination, and velocity gradients. 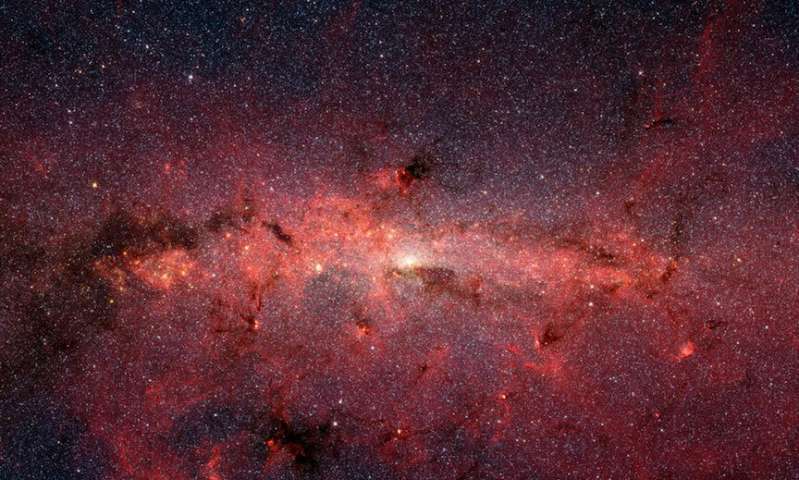 The results reveal that the evolution of molecular clouds near galactic centers is closely coupled to their orbital dynamics. When accompanied by accretion of gas, these clouds can evolve to produce the starbursts observed in many galactic nuclei.